Process hazard analysis (PHA) goes beyond merely identifying if a hazard exists. It involves understanding the negative impact of the hazard in the workplace and how to eliminate it. Join hazard risk/evaluation expert Robert Johnson as he addresses how to prepare for, conduct and report an effective PHA while complying with the latest regulations. Attend and you’ll receive the CCPS book Guidelines for Hazard Evaluation Procedures, 3rd Edition which you can refer to back on the job for a refresher of the effective evaluation methods process safety demands. In three days, you’ll get up-to-date on your obligations under the OSHA PSM Rule and EPA RMP regulations. You’ll learn how to determine the adequacy of your safeguards and report findings and recommendations. You’ll examine various hazard evaluation methods, including the HAZOP Study, and how to select the method appropriate for your facility. The course concludes with a look at hazard evaluation of procedure-based operations and PLC-controlled processes, conducting the final meeting and quality check, and reporting techniques. After three days, you’ll know how to select and apply various PHA methods and have the knowledge and skills necessary to more effectively lead PHA teams and manage process safety in your organization. Save $795 or more when you take this course and CH754: Advanced Concepts for Process Hazard Analysis by registering for CH759: HAZOP Studies, Other Hazard Evaluation Procedures and Advanced Concepts Combo Course. Apply the anatomy of a process safety incident. Prepare to lead a process hazard analysis. Discuss OSHA and EPA requirements for PHAs. Distinguish between various PHA methods. Analyze a process operation using the HAZOP Study methodology to determine what can go wrong. 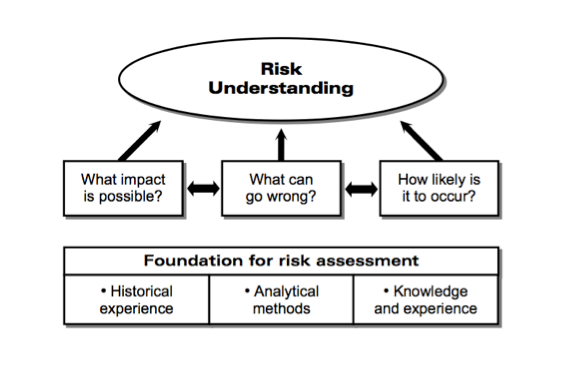 Use tools and techniques for analyzing scenario risks and adequacy of safeguards. Engineers and other technical professionals who play key roles in the management of their organization’s process safety. Those who should attend include PHA team leaders and other professionals who must know how to select and apply various PHA methods. Use of personal laptop computers in the course is optional. Found high value in the course. The instructor was obviously an expert, and found a way to share his knowledge at an appropriate level. Very informative. I'm brand new to the field and to PSM and I learned a lot that will help me with my new job. Fantastic course. Very informative, and instructor was open, friendly, and knowledgeable. Instructor was excellent in his preparation, knowledge, and delivery. Course was able to clear up terminology and methodology. Very good information. Instructor was very knowledgeable, clear, and easy to follow. He covered a lot of content in 3 days at a decent pace, and left plenty of time to answer questions clearly.